This year marks my 15th year as an active cyclist. Although I have ridden bikes as long as I can remember, a 'serious' biking bug bite me in 1997, starting as a road racer. (But actually just before that I already had a mountain bike I and was hooked with it too). Ever since I have ridden many races and mass events in Finland, but there was still missing one big in my puzzle. The legendary Tahko MTB. Why? I had wanted to ride this event probably as early as when it was first introduced 14 years ago. But in 2006 I fell in love with 24-hour solo racing. I rode both LEVI24 and Kangasala 24h in 2007 and 2009, so it didn't fit in there. 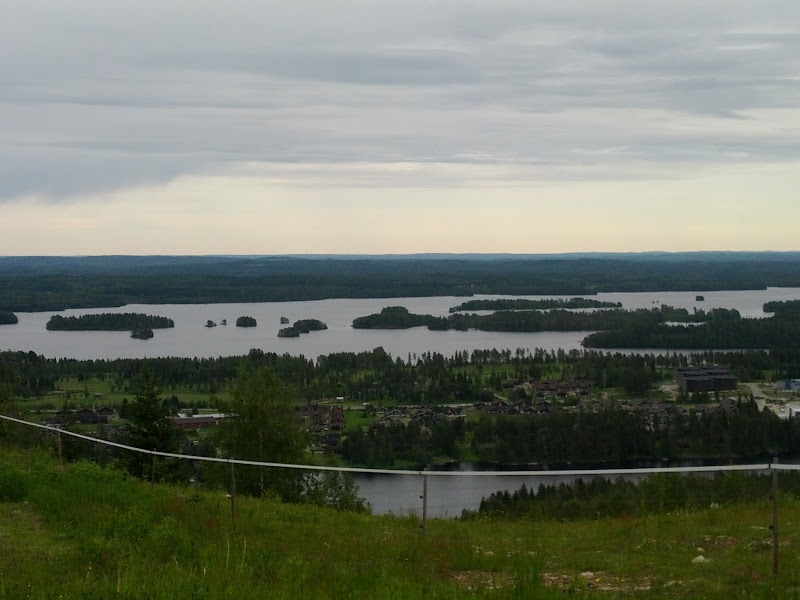 Besides, Tahko MTB is located in Nilsiä, near the town Kuopio. It's roughly 500 km / 8 h road trip, meaning also a 3-day trip. In 2010 I fell love again, this time with bikepacking and adventure cycling. I started to drift away from racing. 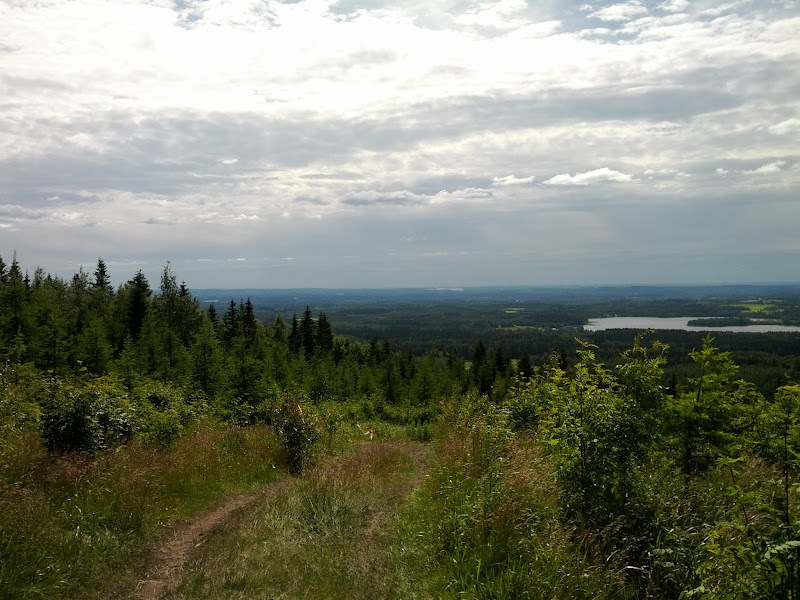 I have still ridden the Finlandia MTB every year but in recent years more for fun. 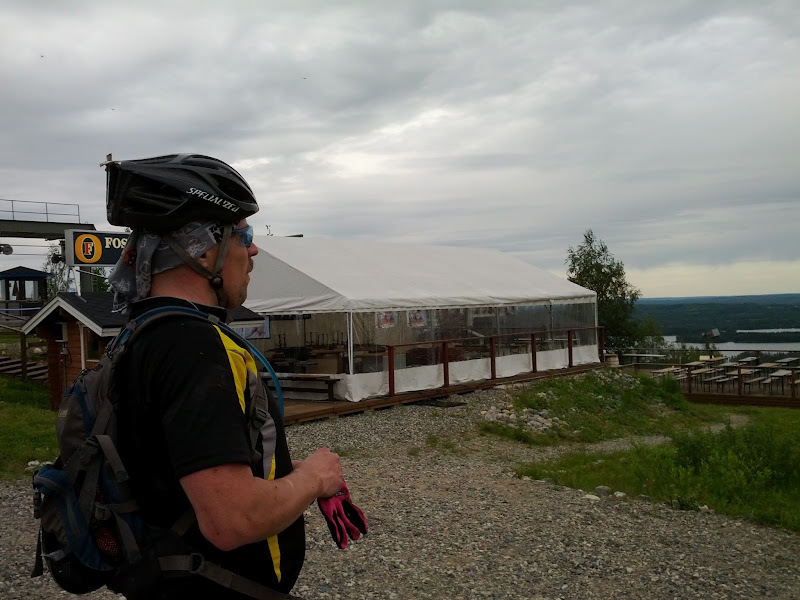 I have not been hungry anymore, because in LEVI24 2009 I rode 320 km and that really was the best ride of my life, with my incredible wife and little daughter as my support team. But Tahko is more than a race. It's the biggest mountain biking event in Finland. I had read and heard a lot of stories about the route how great it is. There are those big climbs called 'Kinahmi' and 'El Grande'. At some point, I just had to ride it myself and see if it's really worth all the hype around it. The time had finally come this year. My original plan was to ride the longest one of the series, 240 km. After 24-hour solo racing I figured out that short distances are not for me. But the spring and early summer have been pretty hectic and I was just too tired for 240 km, and the feeling wasn't just right. I changed the distance to 120 km. After all, I just wanted to experience this event and have fun. A part of the plan was also to ride my 'race bike', a front-suspensioned 26" hardtail. This wasn't a great idea either, because last time I rode it was probably two years ago. In 2010 I rode a lot with fully rigid single speed and from the spring 2011 all the trail riding was done with my fatbike. But on Thursday evening I started to get excited. 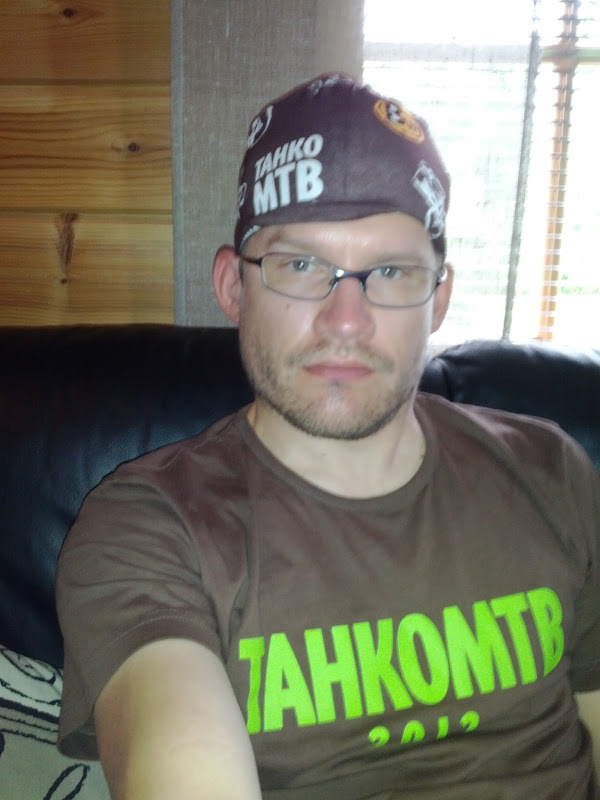 I joined MTB-Turku because of joint logistics and accommodation. On Friday morning I packed my fatbike and rode to Ville In Piikkiö, roughly 20 km from my home. In the car with Matti and Jarkko. A 500 km car trip is not so much fun, but Matti has always good stories and jokes to tell and some brilliant smack talk. At the event centre, picking up the numbers. The Tahko organization is smooth. But the MTB-Turku organization is even smoother, it's super smooth. The 'chef' Aki had done grocery shopping for the trip and made a pasta dinner for us. Awesome! The same awesomeness continued in the morning with a great breakfast. We all were definitely fueled and ready for the event. The weather was absolutely great in the morning, and the temperature was forecasted in the +16...+18°C range for the day. The atmosphere was already great in the start area. Tahko MTB did again a new participant record, 1900 riders! The start was at 9:00AM, and it went well. The first 15 kms were pretty uneventful. Just rolling roads and a couple of easy short trail sections. Then came the sign 'Kinahmi 1' and bang! The real thing started! A rocky uphill up to Kinahmi. The end of the climb is so steep that for most it has to be pushed. On the top of the climb the trail continued challenging, and it was surprisingly difficult to ride with my race bike with lots of riders in front of me and behind me. At this point my bike didn't feel right at all. The 2.25" Racing Ralph tires were slipping all the time, making scary sounds. I stayed upright but I wasn't too happy with my riding. Things got worse in the descent, because it's pretty technical. I had to stop a couple of times, to give space for others behind me. The trail conditions were also very muddy and tough in many places. After the descent was second service point and a gravel road section to the next climb, 'Kinahmi 2'. I rode it fairly long but the rest was super steep and it was pushing time. It was actually fun, because the bike felt so light that I could literally throw it. But on the top the trails continued pretty sick at times, and with lots of riders in front and back I didn't feel comfortable. Riding was still shaky. 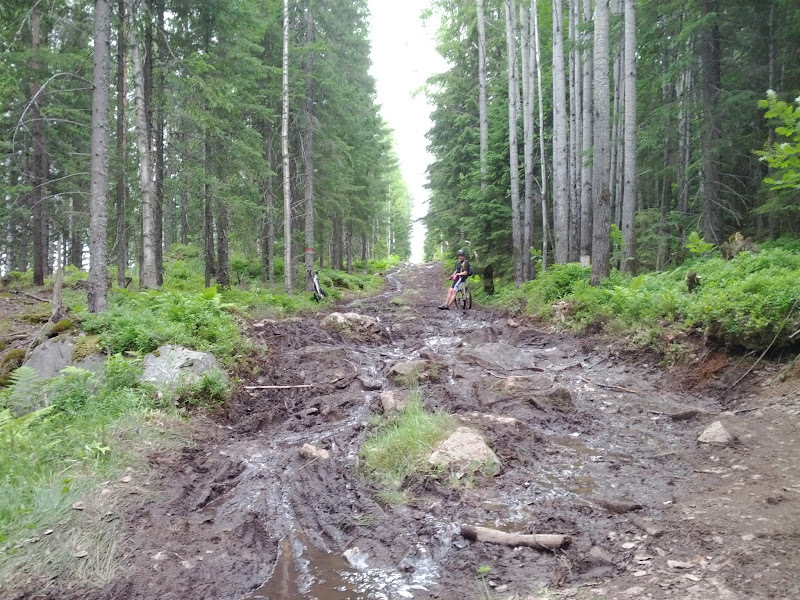 After the service point at Tuulivaara came a really rocky and muddy section. Man, this route was tough! I had to do again some bikepushing, making sure to not fall. But then I took a little fall and went straight to mud with my left hand. Nothing serious happened so I continued. A little after this I had a classic OTB, without realising why it happened, because the place wasn't difficult at all. I felt frustrated with my riding, and it really started to feel that I will quit the race after the first lap. It was clear at this point that I wasn't riding a good time, and the fun factor was low. I went a surge of emotions and wondered that why this is so difficult when I have ridden a number of 24-hour solos in tough conditions. I felt so low that I had thoughts about never participating in any event ever again. The final descent was really steep and long. My brakes worked well so no problems there. I rode accidentally to the finish line, but it didn't bother me because I was fairly sure that I will quit the race. I said to organizers that I would think about it for a while. I drank some Coca-Cola and talked with others in the service area. I was really stoked about the route. This is the real deal! The route is the best in Finland, no doubt about it. Only myself was to blame for the poor performance. About 15-20 minutes later came Matti and Jarkko. Matti was riding a full rigid Surly 1x1 singlespeed, but Jarkko was riding a full rigid Karate Monkey 29er fixie! INSANE! They were still going to ride the second lap. Mindblowing! My mind was instantly changed. This is going to be FUN! We decided that we take it safe and try to reach the finish line before it closes. All the traffic jams were gone, and my riding felt great. 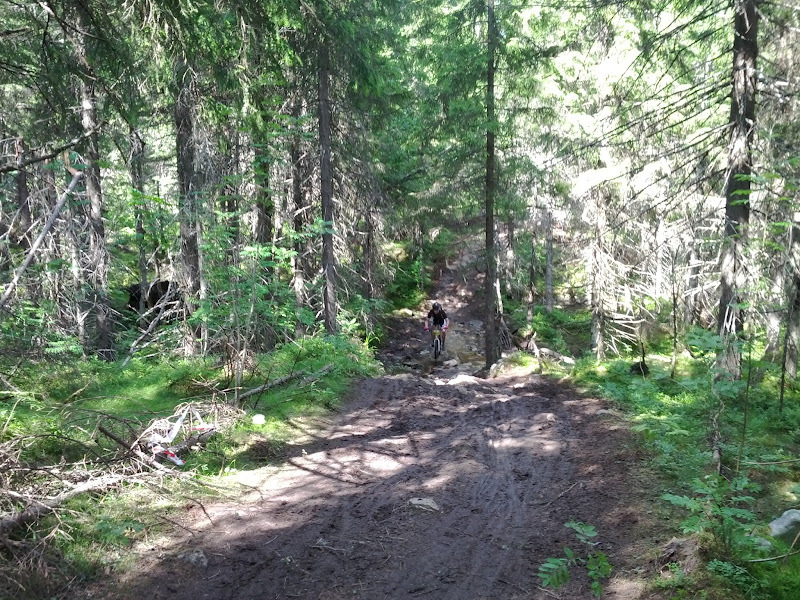 I rode many technical places surprisingly well and it was absolutely blast to ride with Matti and Jarkko. Me and Matti waited on top of every climb for Jarkko, and encouraged him in his incredible effort. 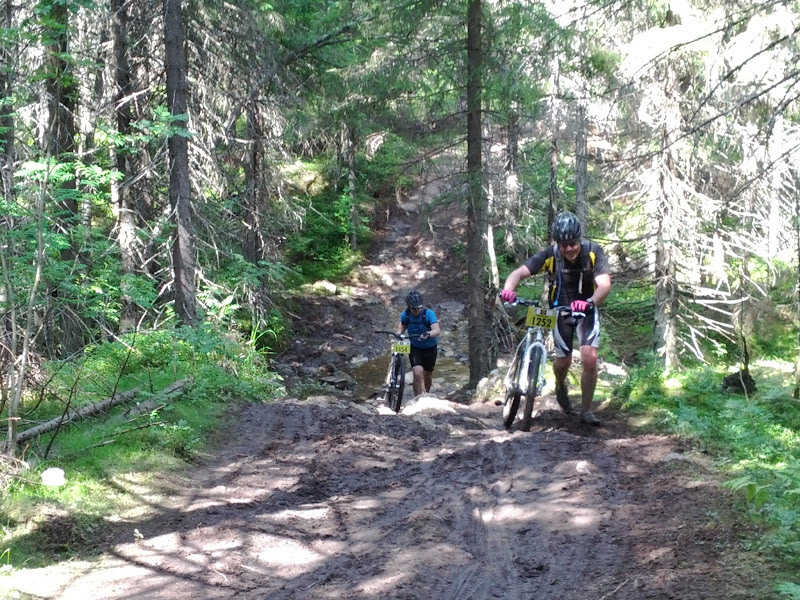 This was mountain biking at its best. Pure fun and great group spirit. In the finish the rest of MTB-Turku was waiting for us and cheering. Incredible feeling! And we received that coveted Tahko MTB Buff. I just can't thank enough MTB-Turku and Matti & Jarkko for the second lap! You all guys rock! This trip and event will go down in my memory as one of the finest moment in my life. 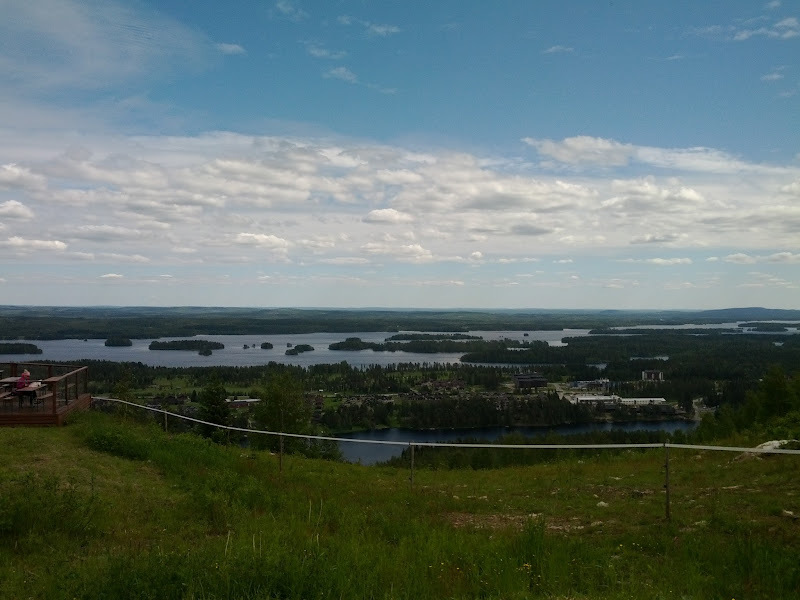 Tahko MTB is not only the biggest mountain biking event in Finland. It's the greatest cycling event in Finland. My mind is already thinking about next year. The longest distance will be 180 km, and 240 km should come back in 2014. This was my first time in Tahko, and I really hope that it won't be the last.